The awards ceremony took place on Saturday 1st April at Hilton Birmingham Metropole, hosted by the comedian and actor Debra Stephenson. It is a fantastic achievement to make it onto the shortlist. The finalists and winners were chosen by expert panels of judges who looked for a passion for optics as well as hard facts. 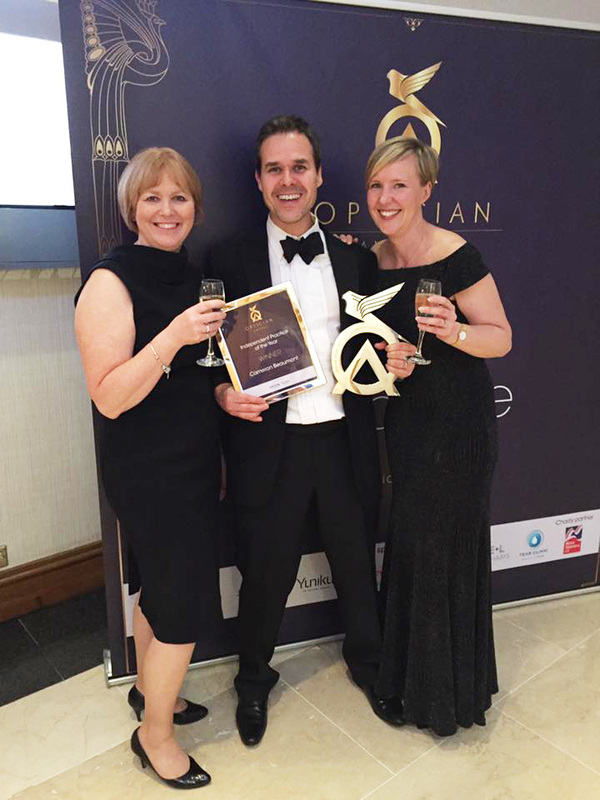 Winning an Optician Award is one of the highest accolades optical professionals, practices and companies can achieve. We are so proud of the whole team at Cameron Beaumont who work so hard to make the practice what it is - "The Best Independent Optician's Practice in the UK!!!"